^ Roger Lowenstein. 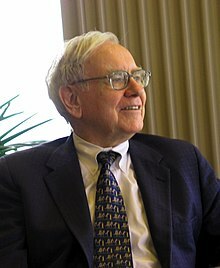 Buffett: The Making of an American Capitalist. p. 43. ^ A Message From Warren E. Buffett, CEO of Berkshire Hathaway Inc.